Therapies for Hearing Loss: What Is Being Tested? Untreated hearing loss is linked to a lower quality of life, physical functionality, and communicative ability. The most common type of hearing loss, sensorineural, is often a result of damage to the delicate sensory hair cells in the inner ear. Because hair cell loss is irreversible, and hearing impairment therefore permanent, new treatment strategies are a welcome sign. In the July 2017 issue of Otology & Neurotology, Hearing Restoration Project (HRP) consortium member Ronna Hertzano, M.D., Ph.D., and Debara L. Tucci, M.D., a member of Hearing Health Foundation’s Council of Scientific Trustees (CST), along with Matthew Gordon Crowson, M.D., examined the field of emerging therapies for sensorineural hearing loss. The team identified 22 active clinical drug trials in the U.S., and reviewed six potential therapies. Four use mechanisms to reduce oxidative stress believed to be involved in the inner ear cell death. Three of the therapeutic molecules being tested—D-methionine, N-acetylcysteine (NAC), and glutathione peroxidase mimicry (ebselen)—act as antioxidants to mop up free radicals caused by noise or other trauma to the inner ear. (For more about D-methionine, see page 11.) The fourth, sodium thiosulfate, is a chemical found to counteract the ototoxic effects of chemotherapy drugs. The fifth approach is to manipulate the “cell death cascade.” This occurs when cells endure significant stress or injury, leading to the release of free radicals and changes in pH and protein that then kill the cell. Since hair cells do not regenerate like other cells, the cell death cascade causes permanent hearing loss. 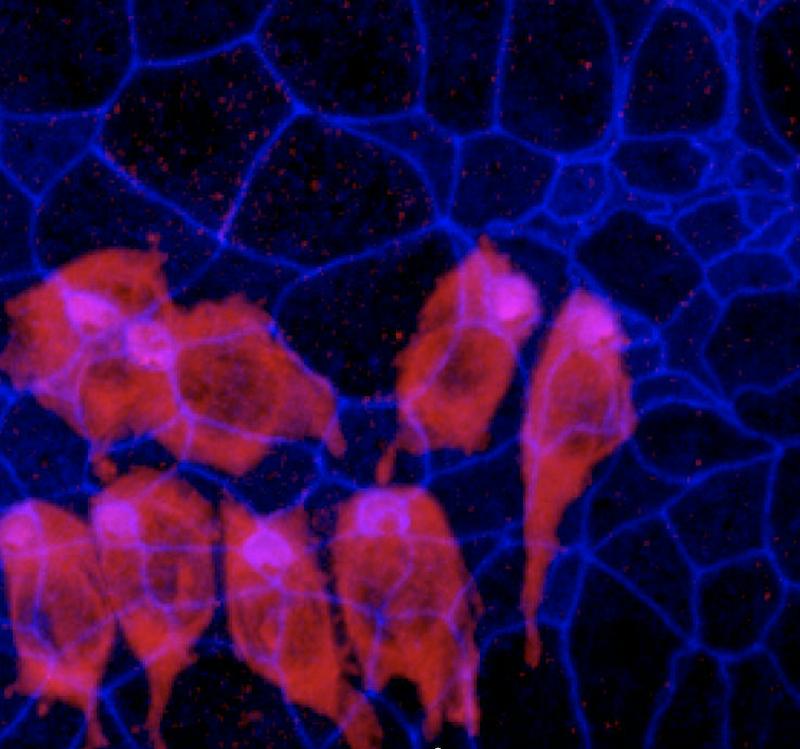 A trial is underway to make the cochlear neuroepithelium (inner ear tissue) more resilient to cell death signaling, using an inhibitor called AM-111 to block the chain of events leading to cell death. Finally, the sixth approach is a novel hair cell replacement therapy using the gene Atoh1, known to be a vital regulator of hair cell regeneration, causing cells to differentiate (change) into hair cells. Using mouse models, it has been shown that if Atoh1 is blocked, hair cell differentiation does not occur, and if it is induced, hair cell formation occurs, at least in the ears of very young mice. Drug delivery methods to the inner ear are also being investigated. In addition to orally, delivery methods include a topical ear gel, intravenous infusion, and, most revolutionarily, direct injection of viruses to deliver genes to the inner ear. And while many of the drugs had to overcome hurdles to reach late-phase clinical trials, questions about safety, efficacy, and side effects remain, in addition to whether animal model results translate to human biology. HRP consortium member Ronna Hertzano, M.D., Ph.D. (far left), is an assistant professor at the University of Maryland School of Medicine. HHF CST member Debara L. Tucci, M.D., is a professor at Duke University Medical Center in North Carolina. This article originally appeared in the Fall 2017 issue of Hearing Health magazine. Find it here, along with many other innovative research updates. Empower the Hearing Restoration Project's life-changing research. If you are able, please make a contribution today. Newer PostThe Hearing Journey: What Matters to You?